Can a Key Fob Button be Used as a Trigger to Automate a Garage Door? 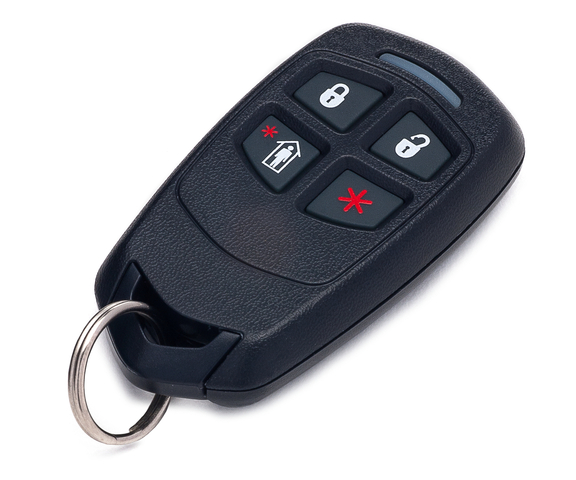 A key fob button can be used as a trigger to control a garage door. This will require either a smart garage door opener or a compatible relay, along with a garage door tilt sensor. The setup involves creating a rule that tells a smart scene to activate when a key fob input is pressed. 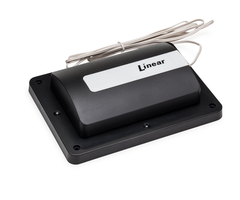 A smart garage door opener or relay wires in directly with an existing garage door controller. 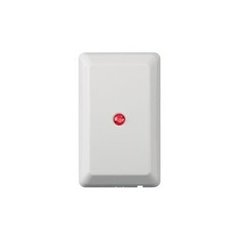 The smart device or relay then tells the controller when to open and close the garage door. The key to completing the setup is giving some way to control the smart garage door opener or relay using a key fob. In some cases, rules and scenes are needed to complete the setup. Other times, the setup can be quite simple. Special mention needs to go to the Honeywell 5877 Relay. This device can be used with a Honeywell Lyric Controller or a Honeywell LYNX Touch System to allow for quick and easy operation with a Honeywell 5834-4 Key Fob. The key fob can then enroll directly with the 5877 Relay, as long as it is not in high-security mode. You can then enroll the same key fob to the panel for regular arming and disarming. More about this process is outlined in this helpful FAQ. If the system does not support the Honeywell 5877 Relay, then the setup process can be a little more involved. But it is still certainly possible. The setup will involve using a Z-Wave garage door opener, like the Linear GD00Z. This device comes with its own garage door tilt sensor for the module to monitor whether the garage door is opened or closed. This tilt sensor only reports to the Linear GD00Z, and it will not report to the actual panel. The Linear GD00Z enrolls with the panel as a Z-Wave device. Remember to clear the device from the network before attempting to pair. From there, you must create smart scenes that tell the Linear GD00Z to open and close the garage door respectively. Then create rules to activate these scenes when a key fob input is pressed. Make sure the key fob has been successfully enrolled with the panel before attempting to create these rules. Also keep in mind that the key fob inputs must be enrolled with individual panel zones for this to work. For more information on how to have a scene run with a key fob input, please review this FAQ.